One of two Basic Witch Set. 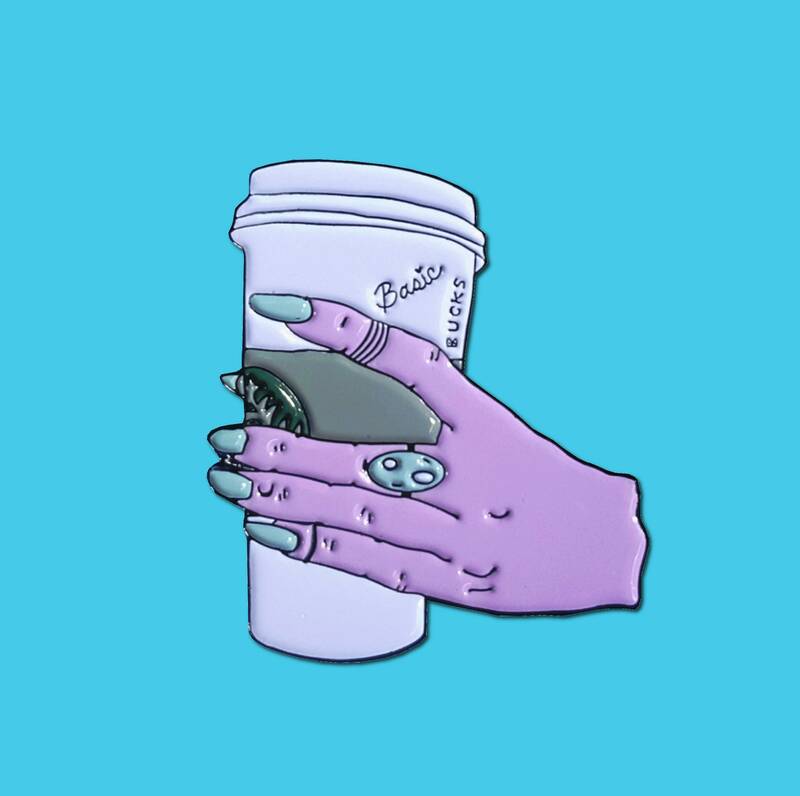 Pastel goth witch hand holding a coffee cup. Pin is approx 1 1/2" tall. Soft enamel with black metal finish. 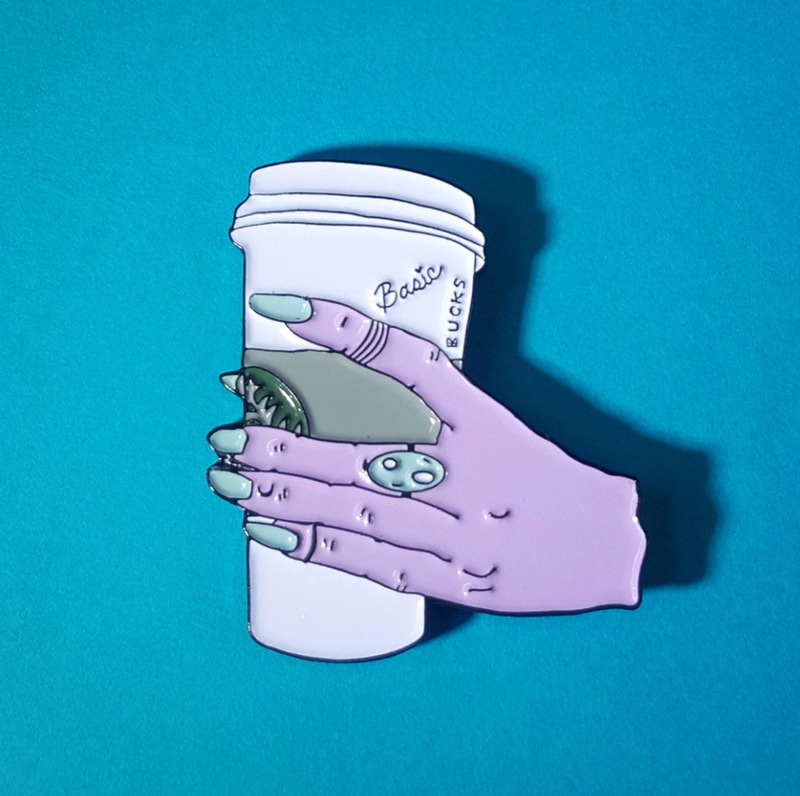 First I drink the coffee then I do the spells.